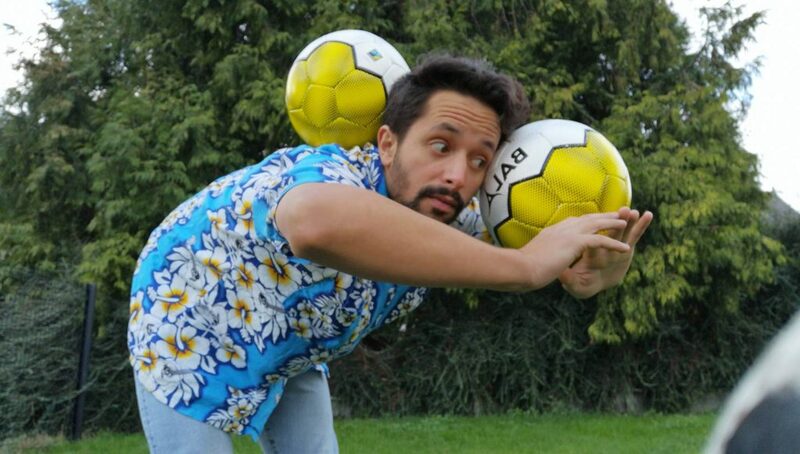 As if freestyling with one ball wasn’t impressive enough, French juggling innovator Norman Habri has incorporated two balls into his routine. We get a closer look at the relentless work ethic behind Habri’s incredible skills. 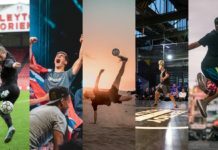 The sport of freestyle football can be broken down into two phrases — “all you need is a ball,” and “the possibilities are endless.” The skill level of top athletes continues to be on the upswing, as new tricks are being created while the physical limits are also being pushed, most notably Luca Chiarvesio’s first-ever 4-rev from earlier this year. But just when you think you have seen it all there will always be someone who comes along and changes the game up completely. Whether that’s something crazy in a mainstream spotlight like juggling a ball out of a hot air balloon, or a more secluded underground reinvention, the stride for originality often leads to cutting edge innovation. 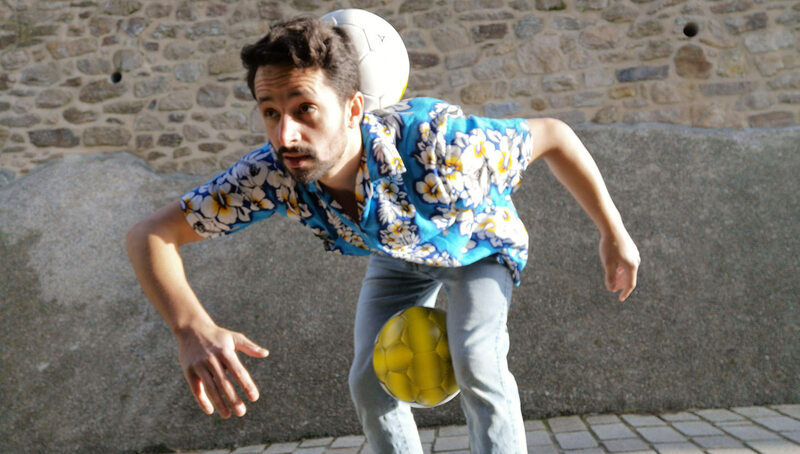 One of these innovators who has quietly gone under the radar and is now starting to get recognition for a particular ambitious niche is French freestyler Norman Habri. He’s been honing in on and redefining one of, if not the most fundamental aspect of freestyle — juggling the ball. After years of training, Norman has revolutionized the game by juggling and freestyling not one but two footballs simultaneously! Almost a decade ago there was a popular video with Brazilian football star and 2007 Ballon d’Or winner Kaka appearing to juggle two footballs simultaneously while on a film set. Looking back at the footage in this day and age, it could be considered laughable for its embarrassing CGI execution. The sheer level of difficulty here would instantly have many calling it out as fake. But Norman can do it. And do it very well. Undoubtedly one of the most challenging concepts to be done with the football, or footballs in this case, his unbelievable control really does have to be seen to be believed. Born and raised in Paris, Norman first discovered freestyle around 2004. Ronaldinho, Soufiane Touzani and “the godfather of lowers” Palle were some of his earliest freestyle inspirations. By the age of 15 Norman was concentrating hard on juggling, with world records in his sight. He achieved a remarkable 3,234 juggles in an hour and 15 minutes. In time, Norman discovered the world of live entertainment, something that the Parisian region is renowned for. He traveled to many different places to discover these new paradigms including theatre, street shows, and most close to his heart, the circus. He says he has a “special relationship” with the circus as it helped to shape his philosophy, identity and craft. In 2008 Norman stopped freestyle and put away the football altogether as he tried many different and “complete sports” such as weightlifting, taekwondo, swimming, and contemporary dance before he eventually decided to join circus school. While all those other sports helped make him physically stronger — something which is probably overlooked as a requirement in aspects of the circus — he needed something to make him stand out more and actually get him into circus school in the first place. 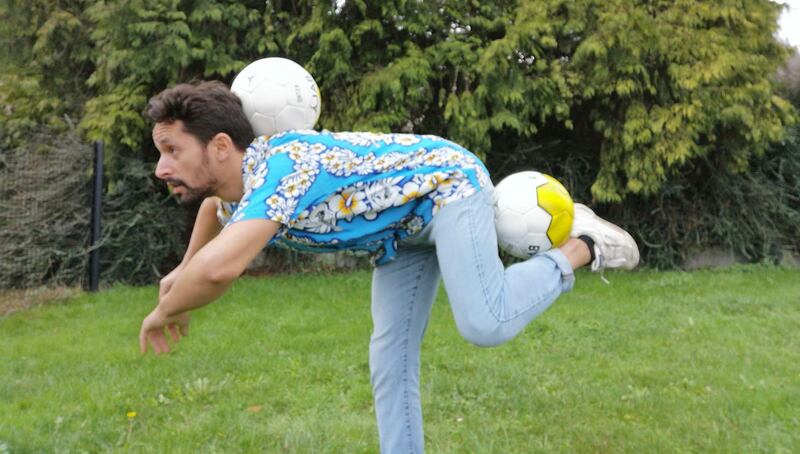 A man of many talents, it wasn’t until his last year of circus school in 2014 that the two-ball idea was born. His inspiration for the concept was somewhat derived from penguins — yes, penguins. 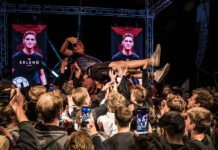 Fast forward to now and Habri is defying all the odds of difficulty, throwing in freestyle tricks while focusing on juggling two balls and smashing world records. His secret (shock horror) is practice. He owes a lot of it to his incredibly meticulous and thorough training, just like anyone would expect when attempting to master something so temperamental. He has a vigorous six-day-a-week regimen. In the morning, he trains freestyle and head balancing for two to three hours, in the afternoon he moves to his technique with two balls for three to four hours, and he’ll finish off with two hours of muscle building exercises and stretching in the evening. 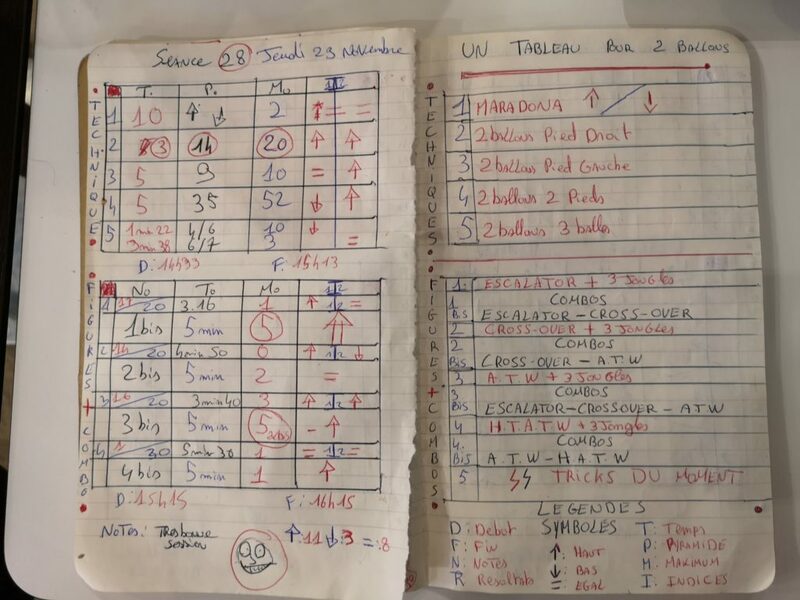 Habri’s meticulously detailed training journal. But by no means does Norman give the impression that he wants the two-football juggling spotlight all to himself. It’s an amazing example of what the human brain is really capable of. 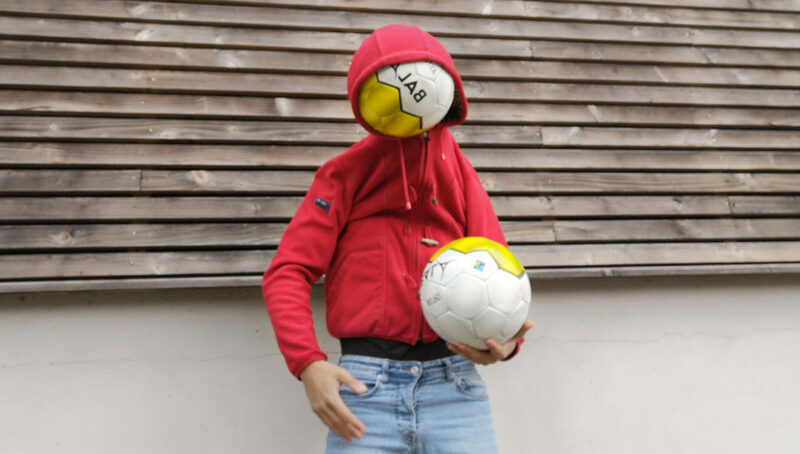 The capacity to be able to simultaneously think about and manipulate two footballs in the air is truly mind-blowing. You’ve probably got more chance of solving a Rubik’s cube blindfolded. In addition to freestyling and juggling for the circus, Habri is also adept at the swing bike and has a natural talent for slapstick/clown comedy. Not lacking any showmanship whatsoever, he draws inspiration from the likes of not only Charlie Chaplin and Francis Brunn, but also freestylers Andrew Henderson and fellow countryman Gautier Fayolle. The latter two were at the Red Bull Street Style World Finals last month in Poland along with Norman. It is always interesting to have an old-school freestyler watch over and comment on some of the best athletes the sport has to currently offer. Looking ahead to the future, Norman even hinted that he could make an appearance at the Super Ball World Championships next year. He hopes to enter the routine category and not just participate, but win. He also hopes to continue to push the game forward and share new ideas with as many freestylers as he can. Norman’s unique circus background has certainly helped contribute to a different way of approaching what to do with the football and how to make it possible. The sport and fans of freestyle need to recognize the niche qualities of people such as Norman for thinking outside the box, and once again proving that all you need is a ball…or two. Who knows what insane ideas he will come up with in the near future. Be sure to follow Norman’s freestyle journey on Instagram.